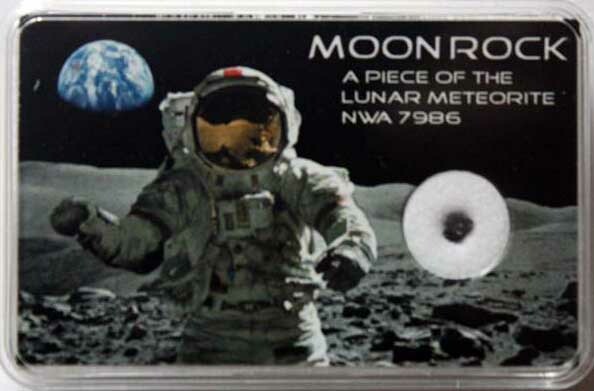 It is against the law to own a piece of the actual rock that came from the Moon via the Apollo missions, however we are still able to offer pieces of a lunar meteorite which landed on the Earth, NWA 11182. (NWA = North West Africa). 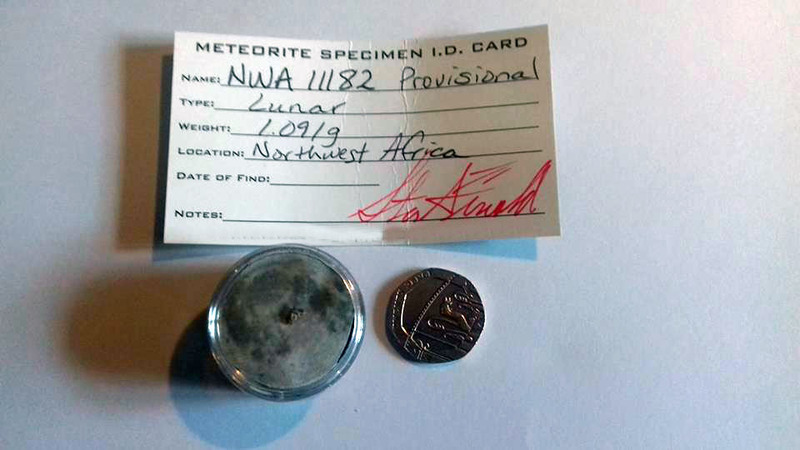 Please note that it is a photocopy of the certificate of authentication that is sent, not the actual original, but we only deal in genuine fragments, in fact these have come from the Meteorite Men who in turn supplies us via Nick Howes. 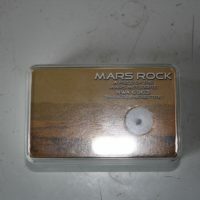 Disclaimer – The boxes are about the size of a matchbox (54 x 34 x 12mm). The fragments are only a few mg in weight and mm in size. They are not massive. Pieces of the Moon as you can imagine are rare. The only way we have it on Earth are either through meteorite falls (as in this case) or via the Apollo rocks bought back by the astronauts (its actually a Federal offence to own or try to sell it). 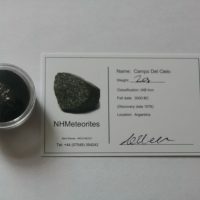 These fragments are sourced from a very reliable source, in fact he gets them from the Meteorite Men!. These come with a certificate of authentication. But please keep in mind when buying, its not the size your investing in, these are rare rocks, you are investing in owning a piece of the Moon when you buy this. It is also not recommended to take these out of the box they could be easily lost. However you can use a magnifying glass or a USB microscope to see it up close.